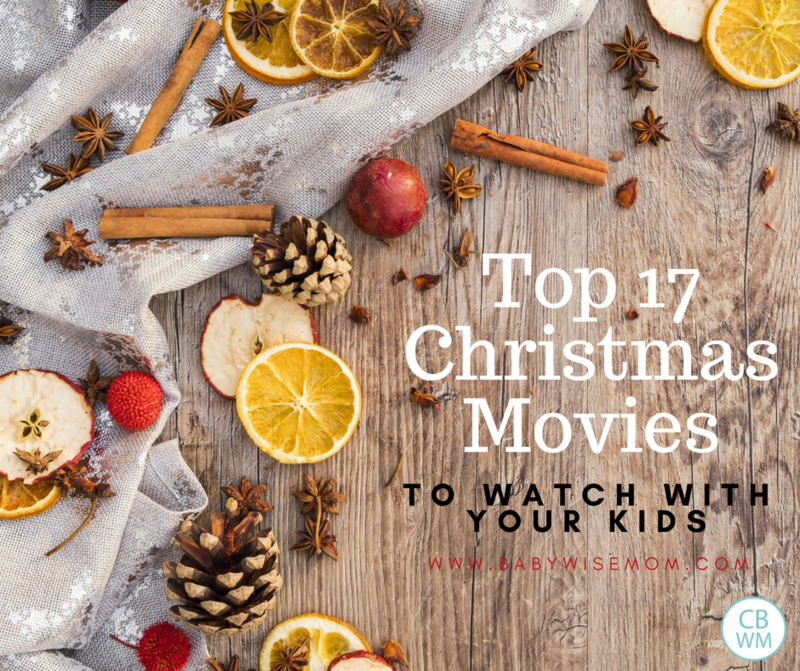 Top Christmas Movies to Watch With Your Kids this holiday season. A family-friendly Christmas movie list. I love snuggling up with my children in December to enjoy a Christmas movie together. It somehow brings an extra measure of wonder, delight, and magic to the season. Here are our favorite Christmas shows to watch each year as a family. This post contains affiliate links. This is fun for all ages, but idea for your toddlers, preschoolers, and younger children. It isn’t super long, so you ca fit it in your evening and still make bedtime. It is cartoon-ish (not the dreaded “real people”), so that makes it more popular for the younger crowd. It also has fun singing and a great message of accepting others as they are. Frosty is again fun for all ages, but the same target age range as Rudolph. This is another short movie. It has the same benefits as Rudolf does. The Polar Express is our one must-see movie each December. Young children like it, and the adults still fully enjoy it. It is a cartoon. It has fun music. It brings the feeling of magic at Christmas with it. It is a longer movie, so I recommend this be a fun weekend event. We love to pop popcorn, print off some Polar Express tickets (just google it and print the images you find), and get some movie theater candy. We all get in our pajamas, sunggle in, and enjoy the show! A Christmas Carol is one of the best Christmas stories ever. Next to the original Christmas story, it is my favorite. We love to go to the musical when it is being performed in our area. When it isn’t, watching a movie is the next best thing. Because it is such a great story, there are a lot of versions to watch. A Muppet Christmas Carol is a great version for children. A classic! Sometimes kids in our modern day of fast-moving shows get bored watching the Charlie Brown shows. They are a fun way to bring back some of your childhood, though, and are worth a shot to see if they can hold interest. This is the cartoon version of the classic Dr. Seuss story. It is another great all-around movie for the family. The little ones like it and it is a fun story-line even for adults. It is short enough to do on a weeknight and make bedtime. This is a cute one with three different Christmas stories with the beloved Disney characters. A great thing is you could just watch just one of them if time is short! There are so many Christmas specials featuring favorite characters. Madagascar, Ice Age, Shrek…there are a lot of fun ones. 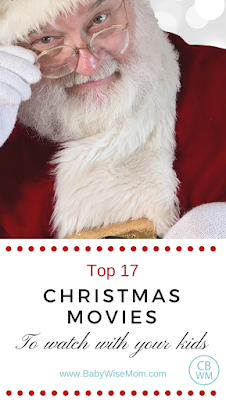 Whatever movie your child is loving these days, search and see if there is a Christmas version of the show you can watch together. This is a great show for the animal lover in your home. It has “real people” in it, so it is better for the elementary aged and up crowd. This is a class Christmas movie. Again, live people, so usually preferred by elementary aged children. There are several versions of this film, so if you have a certain one in mind that you want to watch, be sure you pay close attention to which one you are buying/renting/streaming. Elf is one that my children have liked even as older preschoolers even though it has live people. There is so much silliness going on that they get a kick out of it. This is better suited for children more 8 and older. This can be a fun show, but I would recommend you preview it before watching it with your kids. There is a rough divorce highlighted in the movie, and that can be sensitive for kids. Even kids whose parents aren’t divorced can get stressed out seeing the conflict divorce can bring. So if you have a super sensitive child, be aware of that. This is one of my favorite Christmas movies to watch. The story of the Grinch has always been a favorite of mine and I love this more elaborate telling of the story. Some of my children have found the Grinch to be scary, however, so if your little one scares easily in shows, wait a while before watching this. If you aren’t sure how your child will react, just be mentally prepared to turn it off and try something different. I prefer this for elementary aged children. This and Home Alone 2 are my kids’ favorite Christmas movies. The slapstick humor amuses them to the fullest. This is a Christmas tale they want to watch year round. This is good for older preschoolers on through childhood (and adulthood). I mean, a classic. I find children don’t really enjoy or appreciate this movie until they are in the older half of elementary school, though. Don’t be surprised if your child is not impressed yet. I distinctly remember a time of my childhood when I thought this was soooo boring and couldn’t understand why my dad laughed so hard during this show. Give the kids time. This is a fun, yet old, musical. Your child might not be up for sitting through old musicals, but if so, it is a fun show to watch with them. This would be for elementary aged children and older. This is a movie we have owned for a long time, but didn’t watch for a lot of years. I always assumed it would be too “adult” for the kids. When we watched it, I realized it would be fine for my older kids. It has a lot of slapstick humor, but nothing inappropriate other than the two parents wearing speedo/bikini at one point. It is another story about not being a scrooge and finding the Christmas spirit.